CLIFFORD MEIROWITZ’S primary area of practice is elder law, estate planning, asset protection, wills, trusts, guardianships, Medicaid, persons with disabilities, administration, probate and related litigation. Mr. Meirowitz is a mentor attorney for the New York Law School Guardianship Clinic, a founding member of New York Presbyterian Hospital’s Planned Giving Advisory Council and was selected for New York Super Lawyers in 2009 – 2015 and New York’s Best Lawyers in 2012-2015. 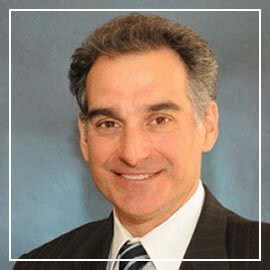 He is the past chair of the New York County Lawyer’s Association pro bono Elder Law Project. He was an adjunct professor at New York University’s School of Continuing and Professional Studies, where he taught a course in Trusts and Estates. He also taught an Elder Law class at the NYU Wagner School of Lifelong Learning. He is a member of the National Academy of Elder Law Attorneys and the New York State Bar Association’s Elder Law Section, where he was a member of the Executive Committee and past vice chair of the subcommittee, Persons Under Disability, and was a past member of the New York City Bar’s Committee on Legal Problems of the Aging. He was also a member of the Professional Advisors Council of The JCC in Manhattan. In 2004, Mr. Meirowitz was appointed by the Chief Judge of New York State to serve on the Commission on Fiduciary Appointments. Mr. Meirowitz testified before the New York City Council Joint Committees on Aging and Health regarding resources available to seniors in New York City. He has chaired and / or presented at various Continuing Legal Education classes for the New York County Lawyers’ Association, New York State Bar Association and the City Bar. He has received numerous appointments as court evaluator, guardian and attorney for the alleged incapacitated person in Guardianship proceedings and appointments as Guardian Ad Litem in Surrogate’s Court proceedings. Mr. Meirowitz has spoken on elder law topics at community and advocacy groups including the Alzheimer’s Association, the Catholic Archdiocese of New York, the Jewish Community Center on the Upper West Side, Marble Collegiate Church, New York-Presbyterian Health Outreach, the New York Public Library-Science, Industry and Business Library and the 92nd Street Y. Mr. Meirowitz was co-chair of a Judicial Training Subcommittee of the New County Supreme Court Guardianship Advisory Committee and spoke at the 2008 Summer Judicial Seminars. Mr. Meirowitz was a contributing author to Elder Law and Guardianship in New York (Hon. Edwin Kassoff; West Practice Series, Thomson/West 2007) and assisted Todd E. Feinberg, MD and Winnie Yu in writing a chapter on legal issues facing seniors in What To Do When The Doctor Says It’s Early-Stage Alzheimer’s (Fair Winds Press, 2005). An article about the firm appeared in the January 11, 2008 issue of New York Law Journal. Additionally, Mr. Meirowitz has been quoted in The New York Times, New York Law Journal, The Daily News and other newspapers and has written articles that appeared in various publications. Mr. Meirowitz successfully represented clients in Matter of Heller (Ratner), Matter of Warshawsky, Matter of Turner (Loeffler), and in Matter of Smergut, which all resulted in published opinions in the New York Law Journal. Clifford A. Meirowitz is a graduate of Connecticut College, where he studied abroad at the London School of Economics, and the Benjamin N. Cardozo School of Law where he was an Alexander Judicial Fellow and participated at Bet Tzedek Legal Services. © 2016 Law Offices of Clifford A. Meirowitz, PLLC. All Rights Reserved.